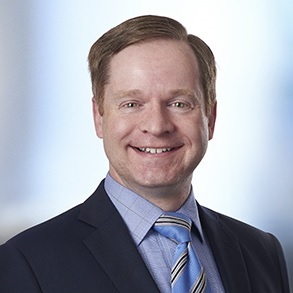 James Lamm is a third-generation Minnesota estate planning and tax attorney and a principal in Gray Plant Mooty’s Trust, Estate & Charitable Planning group. James Lamm focuses his practice on estate planning, tax planning, family business succession planning, probate and trust administration, and charitable giving. James Lamm works with executives, entrepreneurs, professional athletes, high-net-worth families, and family offices to achieve family goals, pass on family values, and plan for family businesses. James Lamm is nationally-known for his speaking and writing on advanced estate planning and tax topics, and he has been interviewed and quoted by The Wall Street Journal, The New York Times, Forbes magazine, The Hill, Intellectual Property Magazine, Kiplinger’s Retirement Report, InvestmentNews, Morningstar, Twin Cities Business magazine, the Pew Research Center, The Associated Press, Reuters, the StarTribune, The Seattle Times, The Washington Post, MSNBC, KSTP television, KMSP television, National Public Radio, and more. James Lamm is a Fellow in the American College of Trust and Estate Counsel (ACTEC), and he’s an Adjunct Associate Professor (2012 to 2015) teaching an Estate Planning and Drafting seminar at the University of Minnesota Law School. James Lamm plans and prepares foundational estate planning documents for families including wills, revocable trusts (living trusts), financial powers of attorney, health care directives (living wills), and beneficiary designations for life insurance and retirement plans. James Lamm also works with families and family business owners to plan and implement trusts for children or grandchildren, irrevocable life insurance trusts (ILITs), spousal lifetime access trusts (SLATs), grantor retained annuity trusts (GRATs), qualified personal residence trusts (QPRTs), intentionally defective grantor trusts (IDGTs), dynasty trusts, installment sales, split-dollar life insurance agreements, private foundations, charitable remainder trusts, charitable lead trusts, prenuptial agreements, family limited partnerships and limited liability companies, and buy-sell agreements. James Lamm also works with families, family offices, and other professionals to help them through the probate and estate settlement process, to administer trusts, prepare tax returns, and resolve trust, estate, and tax disputes. James Lamm blends a strong background in math, technology, and computers with his estate planning practice. James Lamm is a national thought leader in the area of estate planning for passwords and digital property, including electronic data, online accounts, intellectual property rights, and Internet domain names. James Lamm authors the Digital Passing blog, and he was the founding Chair of ACTEC’s Digital Property Task Force. James Lamm also coauthored the proposal for and actively participated in the drafting of the Uniform Fiduciary Access to Digital Assets Act. Prior to joining the Trust, Estate & Charitable Planning practice group of Gray Plant Mooty, James Lamm was an attorney in the Trusts & Estates Department of Rider, Bennett, Egan & Arundel, LLP, for ten years. ¹AV®, BV®, AV Preeminent® and BV Distinguished® are registered certification marks of Reed Elsevier Properties Inc., used in accordance with the Martindale-Hubbell certification procedures, standards and policies. Martindale-Hubbell is the facilitator of a peer review rating process. Ratings reflect the anonymous opinions of members of the bar and the judiciary. Martindale-Hubbell® Peer Review Ratings™ fall into two categories—legal ability and general ethical standards.